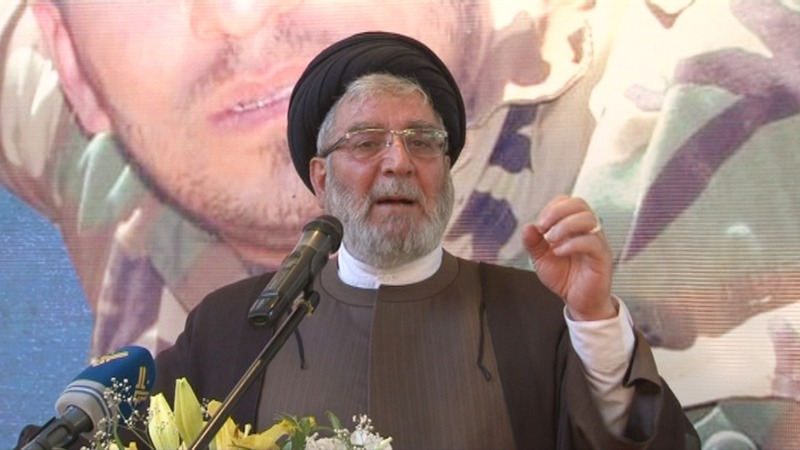 Head of Hezbollah politburo, Sayyed Ibrahim Amin Al-Sayyed, stressed that the Zionist entity will never consider any launching wars against Lebanon after the Resistance victory in Arsal outskirts. The imminent victory in Lebanon, Syria and Iraq will overthrow those who have bet on the takfiri groups, including USA, the Zionist entity, the Gulf countries and some parties in Lebanon, according to Hezbollah official. His eminence hailed the role of President Michel Aoun in detecting the takfiri threat against Lebanon and taking the necessary measures in this context, unlike some political parties that wanted the terrorists to invade Lebanon in order to strike the Resistance.